I do not own Doctor Who, and I certainly don’t profit from writing this. Another little story about Rose, Tentoo, and their triplets from The Price of Living verse. This is set about three years after Jailbreak (which you can read here,) and it takes place in Pete’s world. This is a little ode to Jasper and Stewart, the Fledershrews. I think Tentoo (who has finally fully become the Doctor to me through writing these one-shots) missed them when he first smuggled in the new bats (not Fledershrews. Friendlier in general, but similar in appearance) even though Jasper and Stewart were more the TARDIS’ pets than his, but, as you know from Jailbreak, the kids (Lios in particular) quickly took to the bats, Basil and Mortimer, and made them part of the family aboard the spaceship. I was honestly going for cute and fluffy, which some of it is, but I ended up doing some introspection with Rose, and exploring some other stuff with one of the triplets. I love learning things about them the more I write these little one shots, and it’s always a nice break for me while I write the heavy stuff in TPoL, especially as I near the end of it. 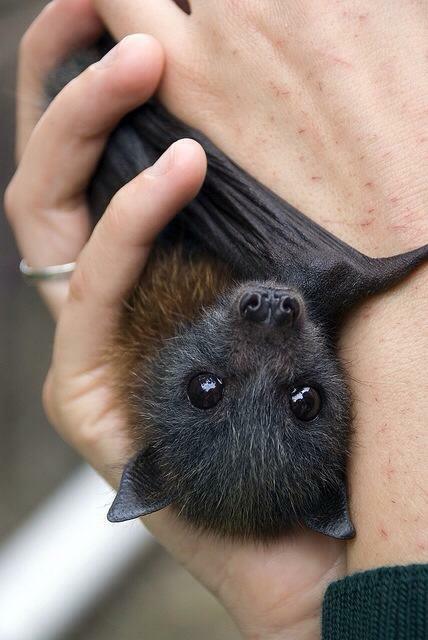 Also, I really love bats. Their names were Vlad and Spike, and that wasn’t morbid at all, was it? Only her children would find those names funny at six years of age. Bats. They’d adopted more bats. Basil and Mortimer, their first two, the Doctor had smuggled aboard years before. Lios had quickly fallen in love with them, making it impossible to do anything other than make sure they kept plenty of fruit trees growing aboard so that they never ran out of food for the strangely endearing creatures. They were more intelligent than she ever thought bats could be, and liked to huddle inside your coat when you went in for a visit. So, while other children had goldfish and dogs (granted, were they to get a dog, it would likely be nose-less and from Barcelona, and therefore as utterly mental as cuddly, alien bats from Goeba. Well… she supposed that was if the planet Barcelona even existed in this universe. They’d never checked as discovering major differences in beloved destinations tended to depress the Doctor more often than they excited him now that he’d never have the time to learn everything he really wanted about, well, everything, and they’d never quite made it to Barcelona in… the other universe,) her children played with bats. 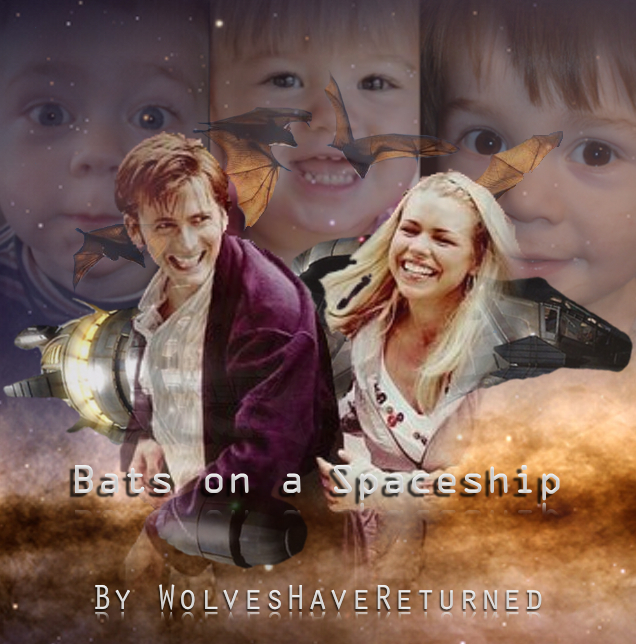 Bats which liked bananas as much as the Doctor, and lived in a makeshift library on a run-down, piecemeal spaceship—their newly bright yellow spaceship. She called it “Beastie the Lemon” – with the greatest possible affection, of course, for their home and the truly horrid paint job he’d done on her hull. Though it made her want to roll her eyes every time she looked at it, it made him quite happy. It wasn’t going to stop her from occasionally taking the mickey, but he was often so anxious and stressed nowadays, she was glad when anything would light up his goofy grin. So, they got more bats. Space bats. Her family kept and loved four space bats. How many mums could claim three kids and space bats? If Jackie Tyler could see them now! She found herself imagining her mother’s admonishing, but secretly pleased voice all the time as she watched her own children grow. It made the ache for her irretrievable family briefly fade into background noise, even if it did leave a lingering hollowness in its wake. …because they’d named them after vampires. Vlad was named for Vlad the Impaler. Selene’s brain child, that. When the Doctor had made a face at her choice, citing that the man she was naming a beloved friend for was a real-and-not-exactly-nice fellow – and certainly not a real vampire, even if it was speculated that he was the basis for the legend of Count Dracula—which he most certainly wasn’t because he’d actually met the real Count Dracula, and he was an alien, not a particularly nasty human tyrant – Selene simply waved him off, rolling her little hazel eyes, and telling him he just didn’t get it. The Doctor insisted bats also had zero to do with real vampires – aside from some of them having wings – because vampires were nearly 98% identical in genetic make-up to Time Lords, and did any of them resemble bats? So, really Vlad was just a silly name to pick in general. Torin argued that the names they chose were tantamount to naming a dog Cerberus, or Kujo, to which the Doctor retorted that at least those were dogs, albeit purely fictional in origin. Vampires were a serious scourge, and one he’d spent a good amount of effort fighting. And, it wasn’t like these were vampire bats! They were fruit bats! Honestly, Rose hadn’t fully understood the joke either until Torin told them what he’d come up with for Vlad’s mate: Spike. Again, the Doctor made a face. Such gruesome names, he’d protested, what was funny about them? And what was wrong so with the names he’d picked? Pumba and Timon were brilliant names! They needed to appreciate The Lion King, which was a fanciful and brilliant retelling of Hamlet, and full of symbolism and poetry of which even old Willy Shakes would’ve appreciated and approved… after he’d gotten over the talking animals… and moving drawings… and electric light… and bodies near him in less clothing… specifically, a certain blonde of whom the Doctor happened to be very fond… He decided he should probably not try to show The Lion King to old Will if they ever met again. Torin and Selene were not impressed by their father’s seeming inability to grasp their brand of humour. Spike, they’d reminded him, was also a vampire. He’d shrugged, but still didn’t see what they thought was so clever about it. Of course, the Doctor had rolled his eyes, and hemmed and hawed through most of Buffy the Vampire Slayer, pointing out all the vampiric inaccuracies, even giving lectures sometimes about what real vamps were like – which was most definitely not bumpy-faced, demon-possessed, or even undead. But, he’d watched all seven seasons, and stayed uncharacteristically quiet for hours after watching The Gift, choosing instead to mope, and binge on bananas and chocolate ice cream until he was ready to begin season six. Vlad the Impaler, and his Spike. William the Bloody, and Vlad the Impaler. Six. Her children were six. Six-year-olds (especially slow-growing six-year-olds who looked more like four-year-olds) were not supposed to think things like this were funny… even if she herself had snorted a bit, and quickly hidden her own giggles at the revelation. Her mum would’ve insisted they were supposed to like things like Brum, and Postman Pat, or Andy Pandy; they were not supposed to think such innocent telly was demeaning and infantilising. They were supposed to enjoy Doctor Seuss, and maybe Lewis Carroll, not Gothic history and making puns of the macabre. It made her a little too proud. Her own sense of humour, of course, it was widely acknowledged in more than one universe, strayed into the oh-so-wrong category more often than she’d admit. She’d been chastised on many occasions by people like her mum, and even Harriet Jones once in Downing Street for finding humour in the shocking and grim; she just never thought she’d see it mirrored in people she was meant to be raising as well-adjusted individuals. She never thought she’d have to curb in others what was her own predisposition. Not mentally, of course. From their earliest moments, it was quite clear that they’d never be like human children that way. They analysed, dissected, and thoroughly memorised everything they encountered. They’d only required a cursory explanation of any alphabet, had at least fourteen alien languages mastered by the time they were two, and did mental maths which would’ve baffled half of the best and brightest she’d worked with at Torchwood. She’d given up on trying to tutor them in anything very early. That was the Doctor’s domain. She was happy to support them in anything, but she drew the line at condescending looks, or humouring pats on the head from toddlers. Nonverbal communication had come as naturally to them as breathing, and they used it to, very effectively, make demands on their parents from day one. In truth, they found it so much more efficient, it had taken Rose and the Doctor refusing to answer them, or satisfy their demands unless they spoke them aloud to break them of the rather rude habit, and they still almost exclusively communicated with each other telepathically. Rose doubted they’d ever budge on that front, it was too ingrained. They’d been doing it while still in the womb, why would admonishment from Daddy or Mum make a difference? Not that she and the Doctor minded the mental contact with the triplets; he still positively beamed with happiness over it after so very many years of silence in his mind – and this him hadn’t even had the TARDIS to help until she’d gotten pregnant and the coral started growing. It was a large part of their dynamic as a family, but it could get them into loads of trouble if they weren’t careful. The Doctor insisted they needed to learn proper telepathic etiquette. It just wouldn’t do to have the three assuming the liberties they took at home were acceptable to any other psychic being. Rose knew he wasn’t nearly as strict in this training as his people had been on Gallifrey. She understood his people would’ve called him indulgent, or pernicious at best as both a teacher and father, but, she often reminded him, the Time Lords didn’t get to make the rules for their children. They did. Their sons and daughter might be the few left of their kind, but no one should grow up as lonely and starved for connection as the Doctor had. Her own mental abilities were weak at best. She felt more emotion from her family and the growing coral than she could discern actual thought. It more resembled the way it had been with the TARDIS when she’d been young – especially after their last misadventure on Satellite Five – all feelings and intentions to interpret, with fleeting flashes of pictures and memories. It was enough for cursory communication, but a far cry from the abilities her husband and children possessed. They certainly read her thoughts easily enough, though they tended to keep out of the minds of each other as a rule. It was rude to eavesdrop. The Doctor had helped her erect mental barriers, and taught her to be aware of what she projected ages before she’d even gotten pregnant with the children since they’d not only married in the human way, but the Gallifreyan, and the connection they shared permanently connected their minds. As thrilling and soothing as having her in his mind could be, he’d found it… very distracting… and they accomplished little more than the fervent exploration of each other for a time after. The barriers had been a necessity in order to get on with life outside the bedroom. She still had no idea why it had taken so many years to conceive when it seemed like they’d done little else with their free time those first few years. Perhaps, it had something to do with the growth of the coral, or perhaps, it was more to do with slow changes to her own physiology, or some quirk of human and Gallifreyan genetics. Though they hardly worried about it any longer, and they hadn’t even had an occasional false alarm, it was a mystery they had little ability to solve with any conclusive results. They just did not have the technological resources even with all the Doctor’s intelligence, so they were thankful, and let it be. Rose had never wanted to have children. In fact, she’d been convinced for many years she never would as a result of loving whom she loved, and the strange mutations her own DNA had undergone after her experience with Bad Wolf. This opposition to motherhood had scared her greatly when she discovered she would, in fact, be a mum, and made her doubt herself at every turn. Then, of course, she found she’d be having three, not one, and they wouldn’t be human children. Six heartbeats. Three babies. Three at once, and they would be very different from any babies she’d ever experienced. Would they develop properly inside a human? Would she even be able to carry them? What if she couldn’t? What if they died because she wasn’t what they needed? How were they ever going to cope with three squalling babies in the middle of the night? Would they sleep at all? What if they didn’t? Both she and the Doctor required it nightly now. What if the babies never slept at all? What if they didn’t eat like regular babies? How was she going to feed them? Did they need the same things human babies needed? What if they needed tea and tannin with free radicals, or some such nonsense, like when the Doctor had been sick from regeneration, and they couldn’t figure it out? How would they know without mucking it up and hurting them? What if they wanted nothing but marmalade? The Doctor had confessed all his children were loomed as nearly school-aged, and he’d never had infants, how were they supposed to know what to do when neither of them had experience with such small children of his species? Would they come out like regular babies, or would they be strange, self-sufficient beings right off? And how would she deal with that if they were? What if they hated her? What if they hated her humanity? What if they hated everything about the both their parents? What if they grew inside her, and could read her thoughts the way the Doctor could, and they could tell she’d never wanted kids? Would they feel rejected, unloved, and unwanted before they could even be properly held, or cuddled, or kissed? Was she failing as a mum already? How could she give them what they needed when she was so woefully unprepared? How could she ever be enough – of anything? She wasn’t a genius like the Doctor, and she’d never be able to teach them the way he could. Would they think she was as stupid and unworthy as she felt? How would they ever make any of it work? And Torchwood! How would Torchwood react to the Director’s strange, appearing-out-of-nowhere daughter and her equally mysterious husband having triplets with six hearts between them? Who could they trust when it came to their children? These latter thoughts had inevitably resulted in fears and secrecy – which had proven more justified than any of the other silly worries with which she’d made herself sick. Torchwood was the ever-looming shadow they avoided and evaded. It was why her Doctor had near panic attacks, obsessed over details, kept them thoroughly disguised and always within his sight when they landed anywhere for supplies. It was the reason he feared losing them. It was why they had weapons aboard, even if they never used them or spoke about them. It was the reason her children had bats for friends rather than other children, or an uncle not too far off in age. Torchwood was the reason she no longer had a mum with whom to share silly things like what her mad children had named the two new additions to their miniature colony of bats in the library of their lemon-yellow ship. Sometimes, when she thought of the organisation to which she’d spent so many years being loyal, she hated the Other Doctor. Sometimes, she resented him so very much, it made her want to tear across universes and rage at him and his high-handedness. How could he just deposit them on a bloody beach, and fly away as if he’d just handed them the key to happiness on a silver platter? Did he really believe the universe was so kind? Did he think he’d delivered them into a fairy tale? In those moments, she blamed him every bit as much for her losses, and the state of fear in which she and her Doctor were forced to raise their children as Torchwood. In those moments, she hated humans and Time Lords alike. In those moments of weakness, she hated herself so much more than anyone else. She blamed herself for a very long time for the Doctor leaving them — not that she would change anything now, she fiercely loved her family, and knew she would never give them up for anything, not a single thing. All of time and space meant nothing if she could never hold her sons and daughter again, or wake up to the warm, sparkling brown eyes of her Doctor as he tinkered, or read, or noshed on toast in bed. She loved and needed them like she needed air, but she knew it had been her actions on that stupid beach, her choice which had sealed their fates. She, her mum, her brother, Pete, Jake, Tosh, Ianto, Owen, Gwen, and so many more loyal to her family, and her husband and children, all sentenced with a kiss. All at the mercy of her fear of pushing an idiot Time Lord too hard into running away and breaking her heart. If she gave him reason to run, he couldn’t reject her. It was too easy, when she was young, to believe such choices had no lasting or far-reaching consequences, after all, what difference does one human heart, one kiss, one life make in the grand scheme? She really hadn’t learned her lesson when she’d saved her father from that car. One little life can change everything. It was just too easy to believe anything could be fixed if you had enough determination, but determination cannot ever bring back the dead. In the early years, particularly when everything started to go so wrong she hardly believed they’d ever be right again, she constantly struggled with these self-recriminations. Now, however, she was learning to let what she could not control or change live where it belonged, in the past. She could even think of the Other Doctor with fondness at times, hope he wasn’t alone, and that he was happy. She and her Doctor found joy in each other, despite the hardship and grief, and it was a gift. It was a fantastic and beautiful life, no matter what came at them, because they had each other, and they made it so. Perhaps, she had grown up and stopped believing in fairy stories – stopped thinking there was some way life should be, and it allowed her to appreciate what life was. Perhaps, it was the knowledge that, though she would not always have her Doctor, and it would hurt beyond measure when he was gone, she would not be alone for endless centuries, or perhaps, it was simply having grieved enough to come to a place of acceptance, she was finally at peace with the Other Doctor’s decision, and her own. …Like Vlad and Spike, who were currently huddled inside her youngest boy’s shirt, resembling lumpy bunches of stuffing, as he covertly slipped into the galley for fruit to nick on their behalf. 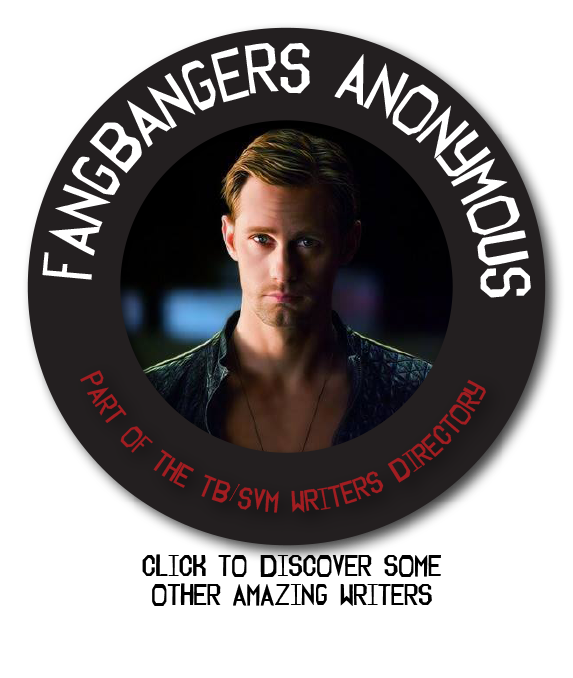 Caught red-handed, and turning an adorable shade of pink at the ears beneath his unruly mop of blond, he protectively put his hands on each of the amorphous lumps beneath his shirt. Lios was the least loquacious of her children, and could be found on his own more often than his siblings. Solitude in any of the triplets was still rare, but she could count on one hand how often Torin and Selene weren’t within four metres of each other by comparison, even when they were squabbling. Still, she had a feeling her youngest was out of sorts. Abandoning the pasta (perhaps they’d have cheese and beans on toast instead,) she turned off the burner, moved to the refrigerator, took out a bunch of purple grapes, and approached her son, who was still holding onto the hidden pets and staring at his feet. She gently scooped him into her arms. Carrying the quiet child and his charges back through the metal corridors, they drew near to the library where she could hear her two elder children giggling riotously within. Lios wriggled in her embrace to further cover the two beloved bats huddling inside his blue button-down. She frowned. Instead of opening the door, she kept walking until they reached the arboretum. Little blue eyes shot up to hers in astonished joy. Next to the room with the coral, it was his favourite. She opened the door with a smile, and set him down inside. He gently extricated each bat, and smiled as they took flight into the tall oaks and pines which filtered their air. She handed him the bunch of grapes, and plopped down on the damp, pungent grass of the faux forest floor. “This room smells like heaven sometimes,” she remarked casually as she patted the ground next to her. He settled to her right without a fuss, wordlessly handing her half his grapes. Lios popped a grape in his mouth, but didn’t acknowledge her words. Lios looked up at her, and smiled. He giggled softly, and moved closer to his mother, leaning against her side, and staring off into the trees wistfully as his little friends darted between branches. He nodded, and tears began to well up in his bright blue eyes. He wrapped small arms around her neck, and buried his hands in her hair as he shook with silent tears. She rocked him softly, allowing him to cry his fill in her arms, whispering words of love and comfort. Finally, he quieted, and slumped down farther into her lap, not releasing his hold around her middle, but calm. It took her a moment to compose herself so she wouldn’t chuckle. Trying to fathom the logic of six-year-olds at her age was foreign, to say the least, and she knew he didn’t really believe it was possible. Still, it had bothered him, and it wasn’t something to laugh about or belittle. He drew back slightly, and rolled his eyes, causing her mouth to twitch at the corners. He remained silent, shifting his gaze, once more, to the trees. Lios frowned, and looked uncomfortable at the idea of such a confrontation with his siblings. His sister and brother were such fiery and dominant personalities, she often watched him allow himself to be overlooked and squashed beneath them. As a mother, it was heart breaking, and frustrating, and she had no idea how to fix it without attempting the impossible and controlling their every interaction. Tears welled up in his eyes again, and he rubbed a small fist into them to wipe the moisture away. He opened his mouth to speak, then stopped himself and screwed up his face. “Me,” he confessed in a guilty whisper. Rose felt like all the colour had drained from the room. He knitted his pale brows, and refused to meet her eyes. He looked up at her again with leaky blue eyes, and sniffled softly. “Nyctimeninae,” he giggled through his sniffs. She hugged him closer, and he squeezed her back with everything he had. He shook his head, wiping his wet face on her shirt in the process. “They were just playing. They didn’t know,” he dismissed. “I’ll think about it,” he replied thoughtfully as he slid from her lap. He gathered up some of the grapes, and started to run for the trees and the perfect-as-they-were pet bats. “Twenty minutes ’til you’re washin’ up to eat!” she called after him. He waved a small hand at her in acknowledgement, and disappeared behind a large fir. She ran her fingers through her hair, and let out a great puff of air before standing to leave. Perhaps, he needed a good talk with the Doctor too. Six was far too young for such self-doubt, wasn’t it? Where had they gone wrong? What frightening impression of life had they given their sweet boy, and how could they fix it? She watched him dart between trees and bushes for a few minutes longer, his misery forgotten in the joy of the moment with his flying friends. Perhaps, what he needed was other kids. Were they making a terrible mistake cloistering them as they had? Rose Tyler’s face took on a stubborn set as she made a momentous decision. She turned on her heel, and resolutely marched out of the on-board forest. The Doctor wouldn’t like it, but he didn’t know everything, no matter what he claimed. They needed more than bats on a ship for company, their kids, and she’d move galaxies to make it happen. Yes, this is a baby bat holding a teddy bear, and eating a banana.